League of Legends is a part of our every day life here at LAN Mob. It is incredibly rare for a day to pass without the Riot Games' MOBA launching on a multitude of our set-ups, more so lately than ever. 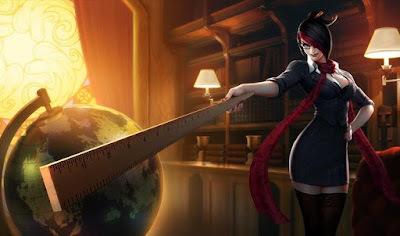 Between Worlds, the ranked season concluding, the Halloween event and pre-season coming up, I watch more people load into Summoner's Rift day after day. This has been a very positive thing for our center, giving almost all of our regulars a gaming experience in common. However, as much as I love League of Legends, this phenomenon has created a very interesting role at the shop for Slooze and myself, League of Legends mentors. 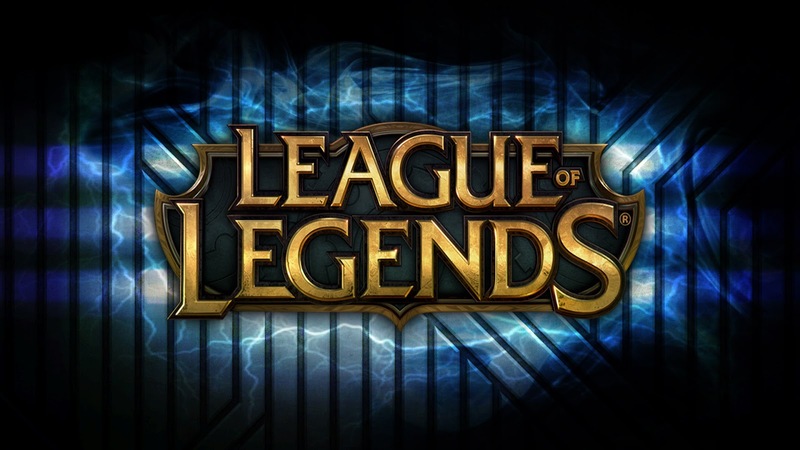 League of Legends is a very competitive game with a decently high skill cap, and while the game is loads of fun, if you are truly invested the competitive itch will get to you, as it has with our regulars. Due to introducing the game to them and having a plethora of the game knowledge it seems the role of mentor was tailor made for us. I started playing League of Legends during the summer of 2012. I don't remember specifically why I decided to download the free to play MOBA, but once I did and played for a bit I was hooked. Eventually the majority of my close friends were playing and we were learning and improving together. Ultimately, I settled into the jungle role, Slooze became an ADC and our friend Scarskull was our solo laner and we continued to play through out the years with very few extended breaks. Over time we played with all sorts of different players, learning and growing, expanding our champ pools and, being modest yet honest, we got pretty good. So if you are a seasoned League of Legends player, I'm sure one of the first questions you'd ask yourself about a mentor is "What rank are they?". Unfortunately, this is where I fall short. Regrettably I have never been willing to apply myself aggressively to the ranked ladder, content to do my placement matches and decay every season. Every season I play my 10 matches, and every season I manage to place Silver 1, only to allow myself to decay back to mid to low Silver, playing only a handful of matches throughout the entire year. I'm happy to say I am more motivated to climb the ladder in Season 7, as I've been a bit annoyed with myself for allowing such decay. (I kinda want that Victorious Maokai and I was so close!). However, I believe the main reason I have found newly sparked motivation to climb the ranked ladder is for the regulars, as I am motivated to become a better teacher. As personal a reason as it may be, I believe a better ranking is like a medal in the military and with it I can directly mentor our community of new players as they will be more inclined to listen to my advice. There have have been multiple instances of giving one of our regular newer players a piece of advice but until they watched a video from some Platinum player or even higher ranked players visiting the shop, that advice did not hit home. This phenomenon may be subconscious and unintended but it is certainly present, and I believe being a higher rank myself will make my words carry more weight. After years and thousands of hours of games I know I carry helpful knowledge! It's been a challenge to help cultivate the newer/climbing League of Legends players but we have some incredibly strong talent come in to play every day, with very prominent strengths. When the shop is busy I'm less able to guide and support players, but sometimes, on a slow day, I'm able to sit behind players and point out mistakes and focuses for them to work on, if they wish. However, nothing beats being able to play with them and help in game which isn't always possible. I've found some very distinct poor habits throughout the year or so I've been doing this, and here are some examples. 1) Miyamoto Musashi once said, "Do nothing that is of no use." and quite frankly this concept can apply to absolutely anything, including League of Legends. I see a lot of unseasoned players meandering around the map quite frequently, and I've tried to make the point clear that it is a waste of time and resources. Sometimes players tend to walk around the enemy jungle with no goal in mind (and ultimately get picked off), roam around the map hoping for a random pick or even sit in a bush when all 5 members of the team are accounted for. These actions have little use and are simply getting the player behind. Goal oriented gameplay is important, especially for new players, and it is something I have focused on. 2) Map awareness is something people tend to say a lot as the map in League of Legends is your number one source of information, which is the most powerful asset in winning a game. Information is priceless in a game like League, so it's important to absorb what you can. Players tend to tunnel on an enemy or even a task as simple as CSing and completely miss that massive amount of information being spoon fed to them by the map such as jungler location, lane pressure, MIAs and even what is warded and what is not. 3) CS. Creep Score may seem like an issue our rookie players would have but honestly poor CS plagues even some of our better players. Some of this is mechanical error but I think a huge majority of the issue is not understanding how insanely important good CS is. There's a multitude of information sources including pro players saying that in low elo the absolute number 1 skill you need to carry games is CSing, even more so then pressure. At low elo there is very little pressure since most players play for themselves, so the next best thing you can do is get ahead by picking up the free gold on the ground and push advantages. I think the first step in being able to help players is knowing where they are suffering, and using tools to help players focus on those issues. However scouting out these bad habits has also made good habits very obvious! - Kindrid "The Hype God" Skylar can be seen around the shop almost every single day, grinding and improving. Out of almost all the players I've ever played with in League of Legends I have to say he may have the most positive mindset of them all. Endlessly optimistic and never raging, Kindrid's mindset is something people should emulate, at least to an extent. He can make even the most disheartening of losses a learning experience and not get tilted in matches. - After some role identity issues Taggles found a home in the mid lane and has been improving his game since. His biggest strength lies in his relatively consistent lane dominance with a plethora of champion picks. Taggles is capable of dueling his lane partner with force, especially in the early parts of the game. - One of the best strengths you can have as a competitive League of Legends players is a strong mindset for adaptation and MattBGames is a great and unique example of this. MattBGames plays League a lot around the shop and at home and one of his greatest strengths is his willingness to take advice and tips. I can think of multiple instances of attempting to correct Matt in a habit or error and pleasantly surprised when he took my advice to heart and made a change, at least in the short term. This clearly means MattBGames mindset is on improving and being a better player, which is a great way to look at the game. Teaching is difficult and I have a lot of respect for past professors and educators that did their job incredibly well. I feel like I'm constantly getting better at being able to share the information I have but I certainly have things to work on myself as well. - Consistently keeping up with League of Legends from patch to patch and understanding the current meta on top of simple game knowledge is very important to be able to help teach the game. Luckily there's a ton of media out in the world so we can stay educated and help keep the community up to date as well. Our LAN Mob League Community Page is a hub for discussion and patch information and we work diligently at it! - Having a knowledge of outlets for our community to learn and grow on their own time is also valuable. While players need to have a sense of personable responsibility to getting better, I tend to direct players to Summoner School (a sub-reddit dedicated to improving in League of Legends) and Pro Builds, a site dedicated to checking build paths of some of the best players in the world. - A personal challenge I've come across is getting a lot better at communicating the way I think about League of Legends. In multiple conversations I have given input on my own view of League of Legends strategy and applied and reapplied it to the way I play the game as well. It's made for interesting insight into my own play and after some time I believe it has made me a lot better, despite communication being difficult sometimes. - Lastly, and probably the biggest challenge I've had with our community is dealing with rage and tilting. 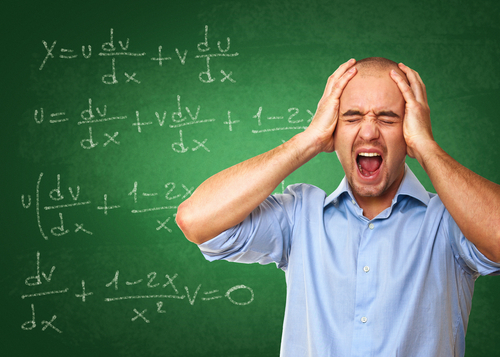 Slooze wrote a great post in the past regarding Rage in Competitive Gaming, and while I believe his post has incredible insight and people should give it a read, dealing with rage as a teacher has it's own new issues. Slooze and I have discussed how to stamp out insta-tilting and rage and negative attitudes in length, but it is certainly a challenging task. It's very obvious that rage is distinctly bad for everyone involved. It causes you to tilt and play poorly, it demoralizes your team, and just makes everyone have less fun. (which is the whole point right?). I struggle deeply with these types of players. I feel I've directly talked to multiple regulars about why rage and flaming is extremely negative and yet it seems to stick around like a bad virus in bad games. Everyone feels anger especially when you feel you're playing at your best but League is a team game. It'd be like working in a group on a project at work and flaming all of your team members. I need to continue to work hard and find ways to discuss rage and tilting and make our community even better than it currently is. Ultimately, I love League of Legends. That's why I feel so passionate about our community and strengthen all of us as players. We have a lot of fun playing and growing but I can't help but feel responsible for helping our players in the areas they are suffering. While our community is full of high level players they aren't around the shop as much as us employees, so it's up to us to take on the challenge! I'm certainly not a professional League player, not even close, but I definitely feel I have knowledge to share for the newer players and I will continue to work harder at being a decent mentor, however if you're a veteran to League and have some tips and tricks for our greener players by all means help our community grow! We will all appreciate it!